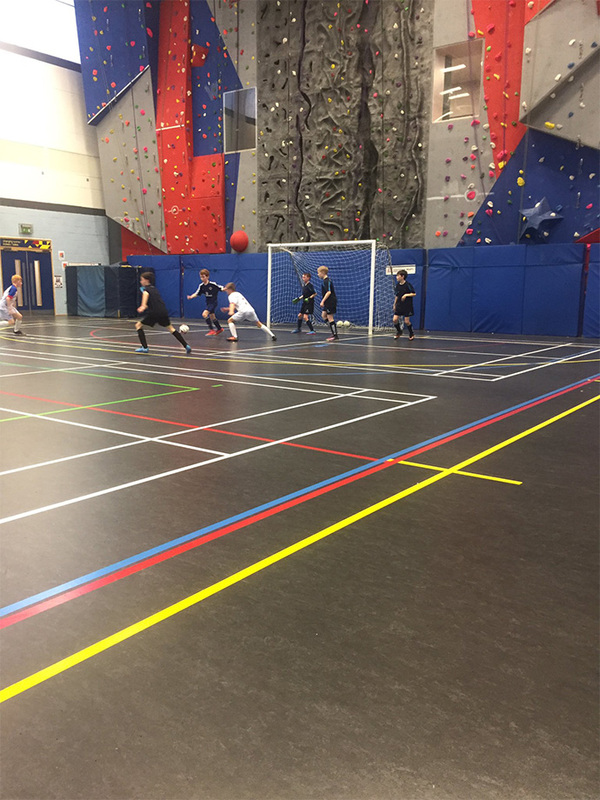 The UK Futsal Academy recently expressed their delight with Wigan Youth Zone’s unique new floor as they continue to host regular fixtures at the facility. 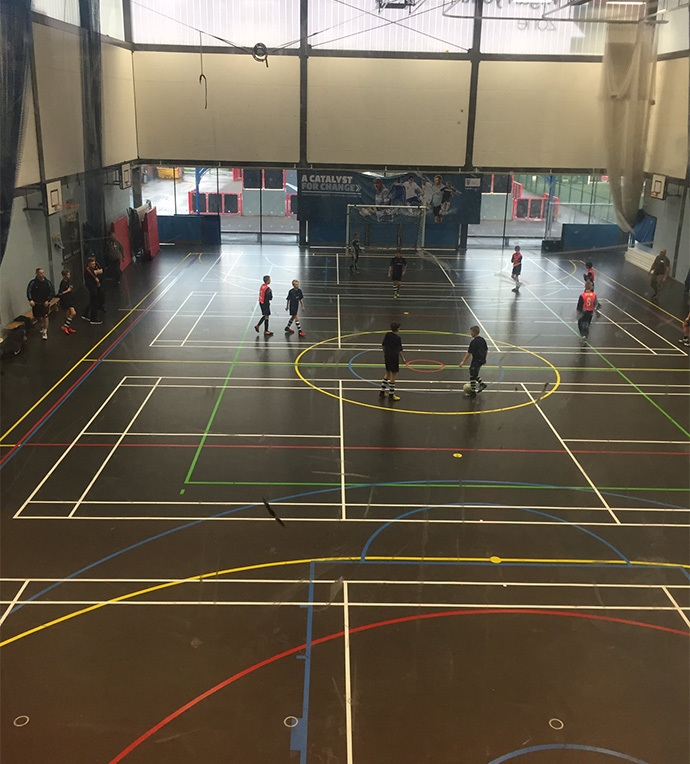 When Wigan Youth Zone’s old floor started showing signs of wear and tear they knew they needed to look at refurbishing the surface but didn’t know what their options were. 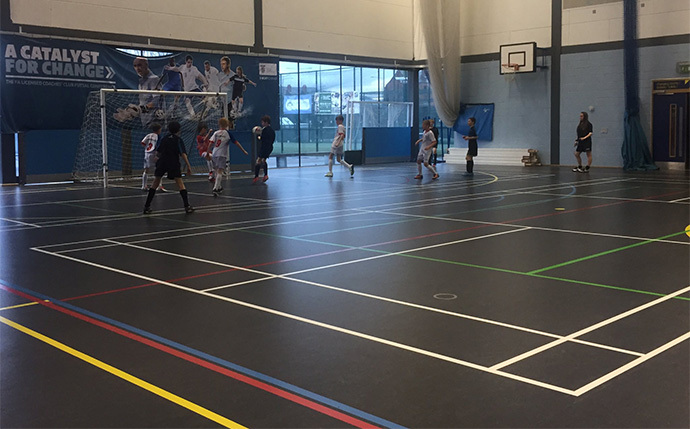 The facility caters to a range of reputable sports clubs and community events, therefore the new floor had to offer high sport performance, durability and a surface that is easy to maintain. After a meeting with Dynamik the decision was made to re-surface the existing floor with a Sport Linoleum which offers optimum levels of grip for sport as well as a robustness that allows the floor to be used for non-sporting events. The surface of choice also offers easy and cost effective maintenance throughout its life. 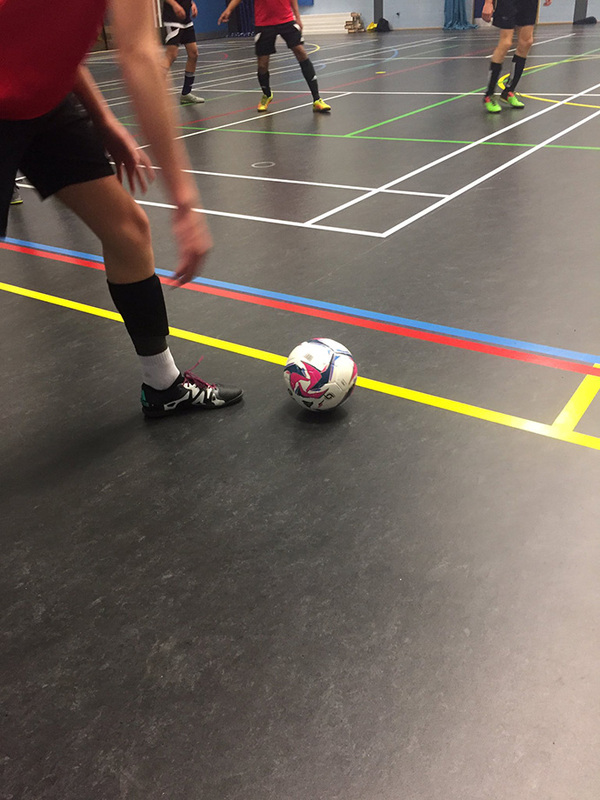 Since the floor was installed in December last year the facility has received nothing but praise for the new floor from users of the hall, including the UK Futsal Academy who are more than happy to continue hosting their regular fixtures within the hall.